A few weeks ago, we wrote about What to Wear Skiing, but almost as important . . . . or perhaps more important is the right attire for the beloved Apres Ski. You know that delightful time in late afternoon when the lifts are closed, skis are stowed and you head to the lounge for something liquid. I clipped the photo above from one of my favorite lifestyle bloggers, Delfina Blaquier of We are Figueras, a stylist, photographer, wife and mother par excellence. Whoops, did I mention that she is married to the dashing and highly skillful polo player, Nacho Figueras. 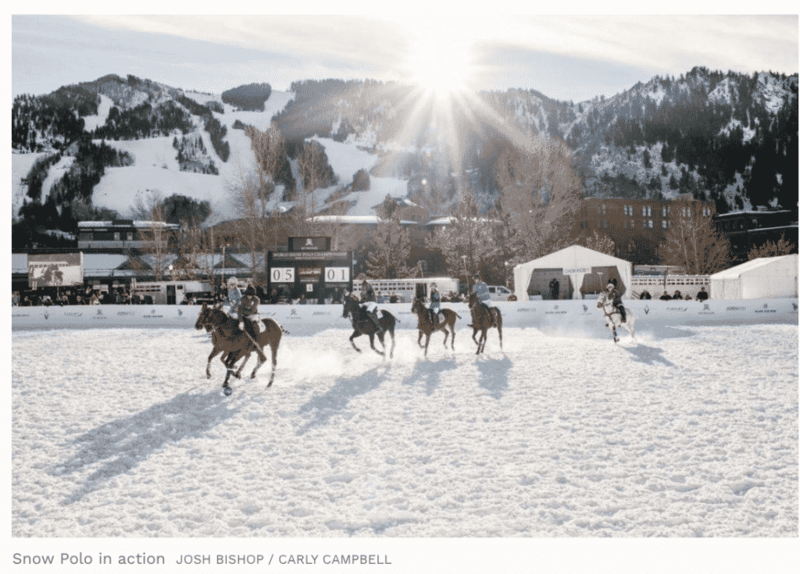 This photo was taken in Aspen when the family was gathered for the St. Regis Snow Polo Tournament, held in December. 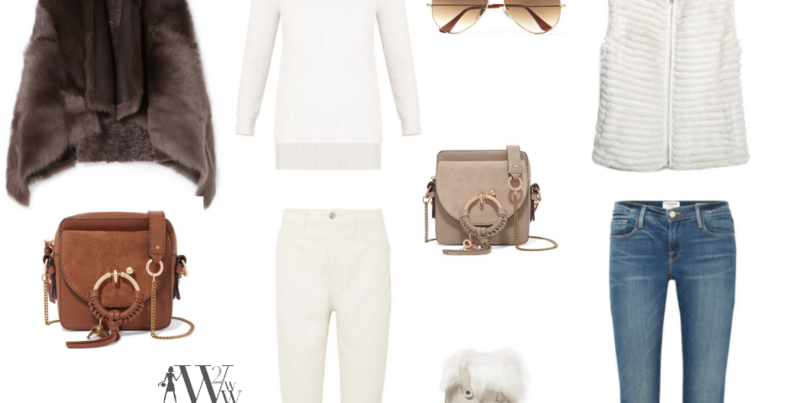 For what to wear Apres Ski, look no further than this curated collection of MUST HAVES – a great fur or faux vest, jeans, sweater – this Veronica Beard is the best of the season, and a trusty pair of Sorel Boots. Ski destinations vary in style. From Packing for Travel; “In the States, the great resorts all have an iconic western atmosphere that lends itself to casual cowgirls wear. Europe tends to the alpine vibe with Nordic Sweaters and crisp, piped-wool jackets.” This Apres Ski look would be at home in any resort, on any continent. boots: Sorel Alpine Ankle Boots $180 Sorel Joan of Arc in white $170 . .